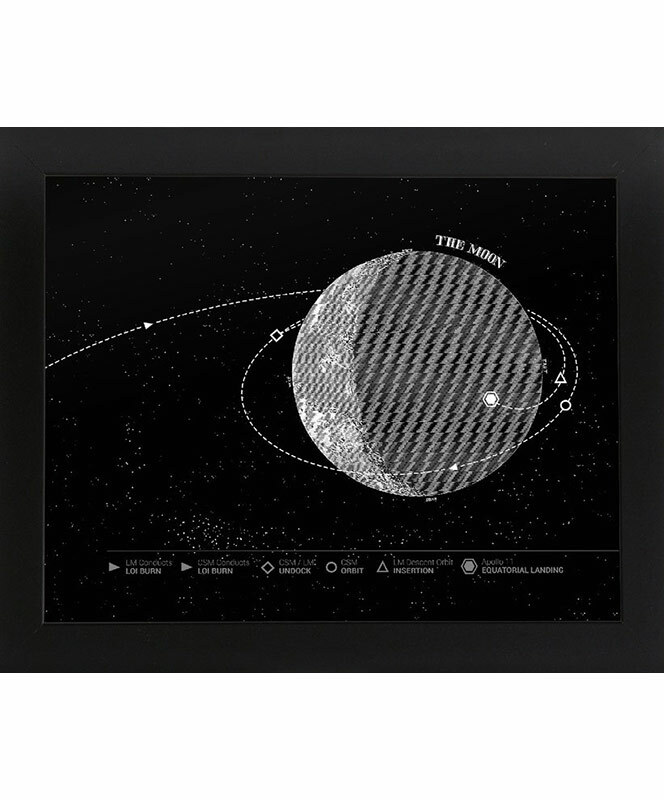 The Moon Landing Poster is a rough diagram of the Apollo 11 mission to the moon. Dimensions: 11" x 14" Prints come shipped in compostable poly bags with a 100% recycled mat. Frame not included.